Two police officers, including a Bahraini princess, have been acquitted by a Manama court. They were accused of torturing doctors while in detention during political unrest in the Gulf Arab state in 2011. The Bahraini government’s Information Affairs Authority (IAA) said Monday that Sheikha Noura bint Ibrahim al-Khalifa, who works within the police force, and another officer were acquitted Monday by the Supreme Criminal Appeals Court, Reuters reported. The IAA said the Appeals Court had upheld a previous verdict from July 1 in which she was acquitted. Sheikha Noura was charged with using “torture, force and threats against Zahra al-Sammak and Kholoud al-Durazi to make them confess to a crime,” Nawaf Hamza, head of the Public Prosecution’s Special Investigations Unit, told Reuters in January. She denied all charges. 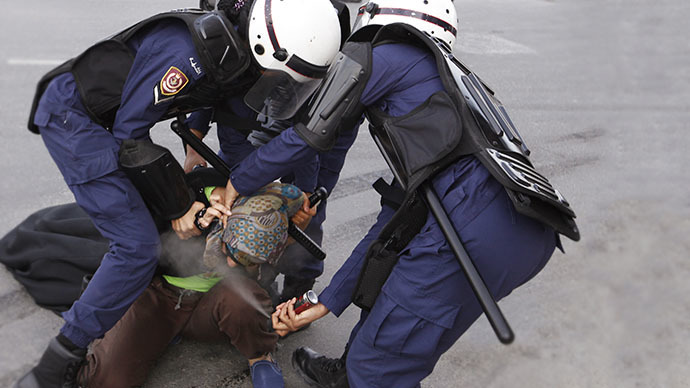 The torture allegedly took place in 2011 when Bahrain was reeling from political unrest. The turmoil blew up in February after mass protests were staged by the Shia majority. Demonstrators demanded changes and more democracy from the Sunni monarchy that rules Bahrain. There are hundreds of princes and princesses among the ruling Khalifa family, many of whom hold jobs in the public sector and therefore may have come into contact with protesters. An independent international human rights commission - headed up by Egyptian-American rights activists and jurist Cherif Bassiouni - was sent to Bahrain to investigate the unrest, as well as the abuses that occurred during the two months of martial law that followed. The commission determined that security forces used excessive and widespread force, including torture, in order to extract confessions. They concluded that 35 people died, although the Bahraini opposition puts the death toll higher - at around 80 people. Bahraini authorities were heavily criticized for the arrests of doctors and nurses who treated wounded protesters during and after the uprising. According to Physicians for Human Rights, around 60 medics were put on trial and sentenced to up to 15 years in jail on charges including attempting to bring down the government. Most of them appealed, and the majority has had their sentences reduced or quashed. “Bahrain’s international reputation is dominated by the image of it being a place which tortured its doctors after they treated injured protesters, and then failed to punish those responsible who ordered and carried out the torture,” said Brian Dooley of Human Rights First. Earlier this year, two Bahraini police officers were sentenced to 10 years in prison for torturing to death Al Ashiri Saqer, a Shiite protester. However, the same officers were acquitted in the death of another detainee. But the Bahrain Center for Human Rights said the legal proceedings amounted to little more than a show trial - and that none of the senior ranking officers who ordered the abuse will ever see justice. “The Bahraini government continues to ignore calls to hold any of the high rank officers accountable for the deaths of Al Ashiri Saqer and the other three men who have died under torture in custody. Instead it has resorted to bring cases of torture against low rank policemen,” the center said in January 2012.